Sales of a comic version of Adolf Hitler's notorious political tract "Mein Kampf" have become a hit in Japan. 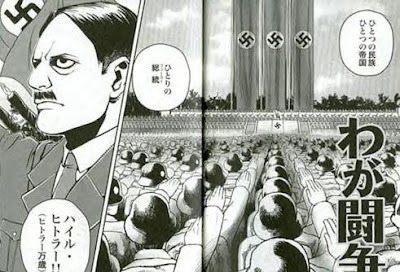 The manga book describes both Hitler's autobiography and his infamous Nazi manifesto in the unlikely form of easy-to-read comic pictures and captions. The book, which forms part of a series on world classics turned into manga, covers a range of aspects of Hitler's life, from his childhood to the formation of his political party. Its success in Japan has reportedly ignited a debate in Germany about whether the ban on the work imposed since 1945 should be overturned. Since it was published in Japan last November, its popularity has soared, with sales of more than 45,000.